The Texas Court of Criminal Appeals halted the execution of Paul Storey Friday afternoon, which was set for next Wednesday. The Texas Court of Criminal Appeals has halted the execution of Paul Storey, which was set for Wednesday. In a three-page order Friday afternoon, the court sent the case back to the Tarrant County trial court to review claims regarding the prosecution presenting false evidence at Storey’s trial. In 2008, Storey, 32, was sentenced to death for the 2006 murder of Jonas Cherry during a robbery of a miniature golf course where Cherry worked in Hurst, near Fort Worth. At the trial, the prosecution said that Cherry’s parents wanted the death penalty. “It should go without saying that all of Jonas [Cherry’s] family and everyone who loved him believe the death penalty was appropriate,” the prosecution said during the penalty phase of the trial, according to Storey’s appeal. Storey and Cherry’s parents, Glenn and Judith, say that’s not true. The Cherrys wrote to Gov. Greg Abbott and the Board of Pardons and Paroles in February, asking for a life sentence for Storey. The Cherrys said they never wanted the death penalty and made that clear to the prosecution, according to Storey’s appeal. “As a result of Jonas’ death, we do not want to see another family having to suffer through losing a child and family member ... due to our ethical and spiritual values we are opposed to the death penalty,” the Cherrys said in their statement. Now, the trial court has been ordered to determine whether the fact that the Cherrys opposed the death penalty could have been discovered by appellate attorneys earlier. Generally in death penalty cases, if evidence could have been raised at an earlier appeal and wasn’t, it is not allowed to be used in future appeals. This evidence was brought forth to the courts less than two weeks before his execution. The appeal claims the evidence of the Cherrys’ disapproval of the sentence was learned only in the past 90 days. But the Court of Criminal Appeals said it’s not yet clear whether his previous state appellate attorney could have learned about the Cherrys’ beliefs. Storey’s appeal said the evidence of false claims warrants him a new punishment hearing, where he either could be sentenced to death again or receive a life sentence without the possibility of parole. A juror who served during Paul Storey's case is asking the Texas Legislature to clarify the jury instructions in death penalty cases, claiming he didn't know he alone could have stopped the sentence. 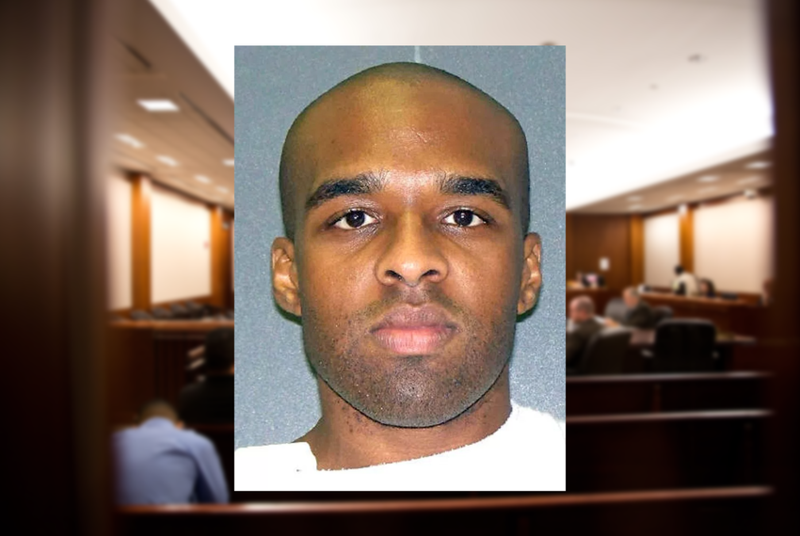 A death row inmate convicted in a Texas prison guard's murder lost another appeal Wednesday at the Texas Court of Criminal Appeals.